Item # 296132 Stash Points: 4,499 (?) This is the number of points you get in The Zumiez Stash for purchasing this item. Stash points are redeemable for exclusive rewards only available to Zumiez Stash members. To redeem your points check out the rewards catalog on thestash.zumiez.com. Feel confident in your pop when hucking down gaps like the living legend himself with Jamie Foy's signature Gang Name 8.38" Skateboard Deck from Deathwish Skateboards. Draped with Jamie's name across the underside, this 7-ply maple board is durable and made with a medium concave for boardfeel. 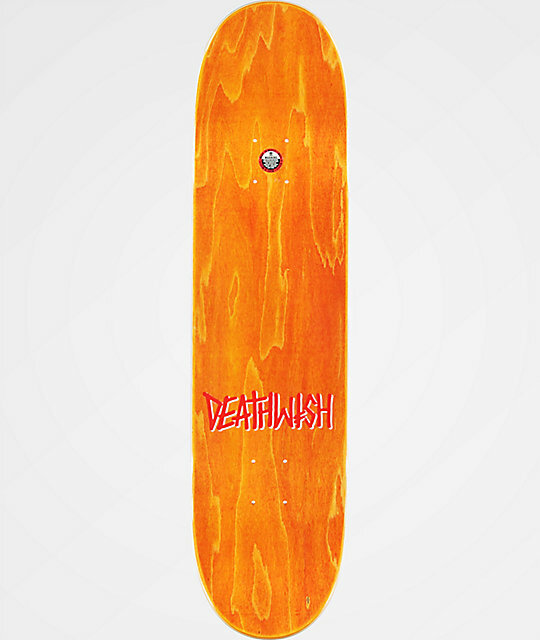 Foy Gang Name 8.38" Skateboard Deck from Deathwish Skateboards. 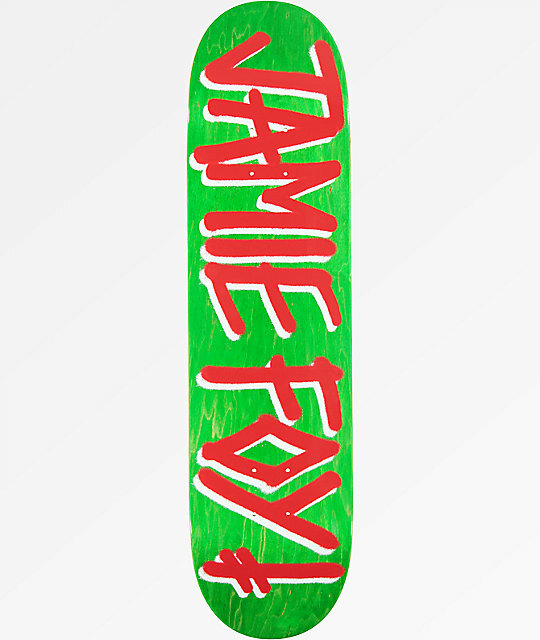 Signature Jamie Foy pro model.